Disaster Recovery and Recovery Services are a lifesaver when it comes to data loss and recovery in the event of a natural disaster like a fire, flood, earthquake or hurricane. The importance for specific recovery systems in event of more traditional issues like hard drive or computer failure became apparent. Virtually every home in the nation purchased a computer, and more and more businesses used computers as the primary driver for sales and business architecture, which sparked the need to implement (and understand) how recovery systems work. This selection of articles highlights the benefits of a disaster recovery system for your business, and an active recovery system in your home computer. Find the best solution for storing your digital records. Different additive storage, like external hard drives and cloud storage, may be optimal based on your needs. Who Was The First Manufacturer to Include a Recovery Drive? Disk recovery drives can save you if your hard drive gets corrupted. This is where the idea started and how it is used today. It is much cheaper to keep your data safe than to try to recover it when a hard drive fails. Don’t risk losing data and information you will need tomorrow. Data disasters can be as small as a disk failing, and as large as a hurricane or fires that destroys the whole building. Don’t rely solely on an onsite backup. Natural disasters will not only destroy your computer but the backup drive sitting next to it. Make sure you have a strategic backup plan in place. Is your business ready for a disaster? Could your business survive if your office was destroyed? Create proper backups to protect your documents and data. To make sure your critical data is protected, It’s important to back up your data off-site with a cloud storage service or some sort of disaster recovery. 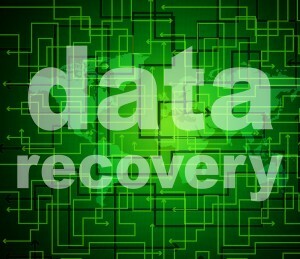 Get Free Quotes on Data Disaster Recovery Solutions! Record Nations offers disaster recovery services to help protect your business when disaster strikes. If you have a project in mind, you can request a quote by filling out the form to the right, or by giving us a call at (866) 385-3706.